Slip-on recoil pad with rounded heel section of slick polymer helps limit friction so rifle or shotgun slides smoothly to your shoulder. Heel section is specially contoured to prevent clothing snag and allow quick shouldering. 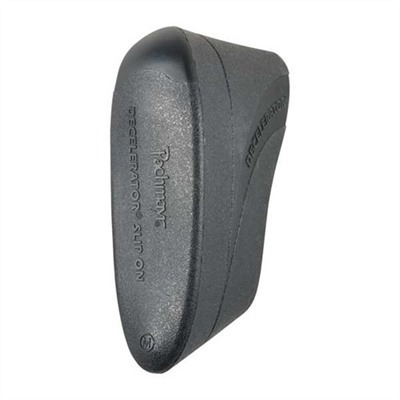 Decelerator pad face provides great recoil cushioning and stretchable side material flexes to allow easy installation, while providing plenty of grip to hold pad firmly on stock. Adds 15/16" to length of pull. Available in black or brown. 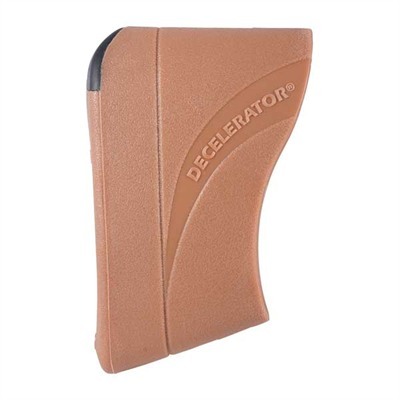 SPECS: Decelerator rubber, black or brown. Small - 4-7⁄8" (12.4cm) long x 1-5⁄8" (4.1cm) wide. Medium - 5” (12.7cm) long x 1¾” (4.4cm) wide.